When I think of Christmas and the holidays, I am always reminded of all the sweets. Mostly chocolate bark. Of course, that is because I am a lover of all desserts! This Superfood Chocolate Bark is perfect for the holidays. I just love the colors, and the chocolate of course! I hope you enjoy my superfood chocolate bark recipe. 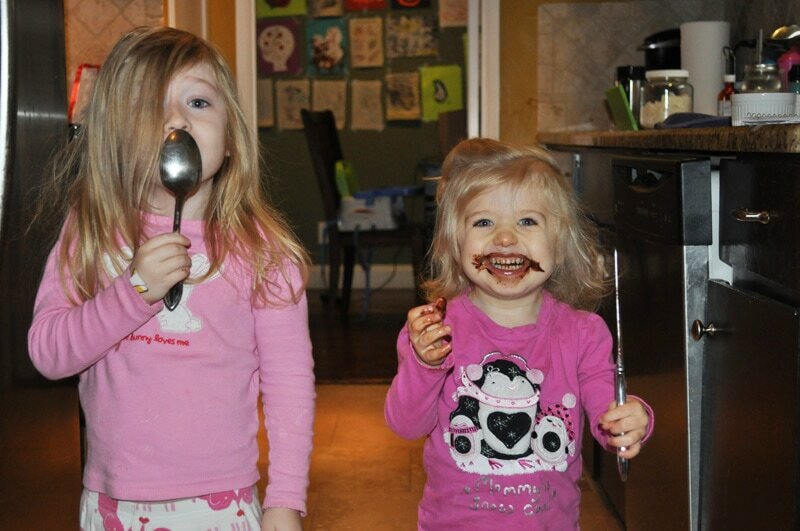 As you can see we sometimes stay in our pajamas for baking. 🙂 They loved helping and taste testing. My older daughter has developed her father’s love for chocolate. 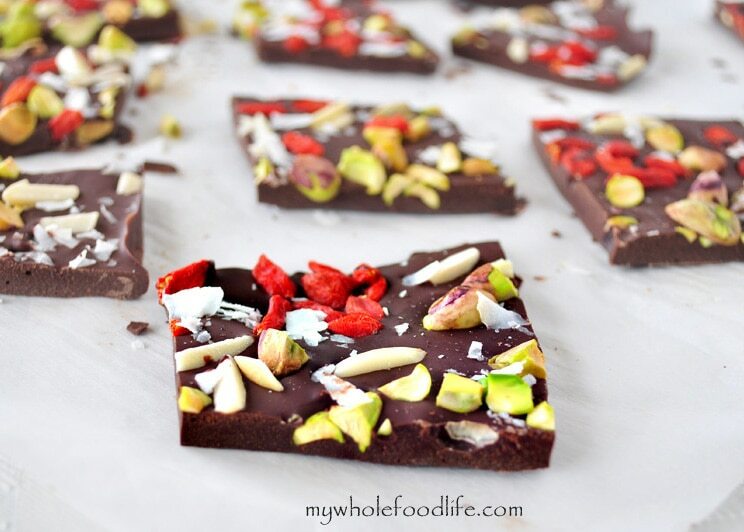 The festive colors in this Superfood Chocolate bark is perfect for those holiday parties! Using a double boiler method, melt the chocolate chips while stirring often. Keep stirring until the chocolate is smooth. Once finished, add a couple more room temperature chocolate chips and keep stirring. Sprinkle remaining ingredients onto the chocolate and press them down gently. Break into squares and enjoy! Pingback: Crispy Chocolate Bark Candy - Chocolate Chocolate and More! I made this recipe awhile back and it was a huge hit, thanks! The bark, however, melted pretty quickly. While delicious, it ended up being rather messy. (It was a rather large crowd, so the room might have been warm). Is there a preferred brand of chocolate or anything I can add to stabilize it? Did you make the homemade chocolate with coconut oil, or did you melt chocolate chips? Chocolate chips... Is that where I went wrong?